Hello, this BNB portal went online today. Thanks to the BNB-team for making it possible. 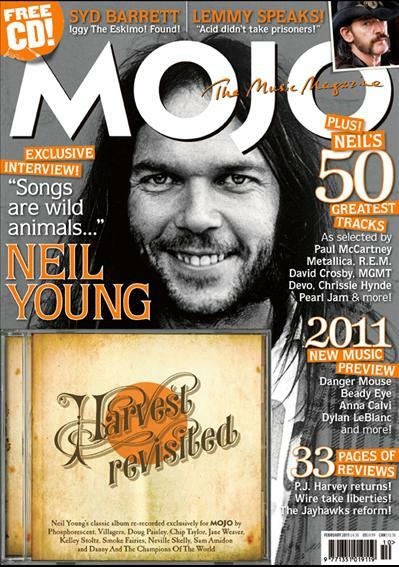 NEIL YOUNG: For MOJO’s bumper 25-page anniversary tribute a cavalcade of stars (Paul McCartney, David Crosby, Metallica, MGMT, Rush etc) choose their fave Neil compositions, Phil Sutcliffe tells the story of Harvest, Nils Lofgren explains how to play with Shakey, while the Youngster himself spills all to Sylvie Simmons on the ancient mystic art of songwriting. And a covers album of Harvest songs from beginning to end. 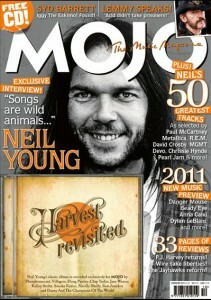 Lots of good stuff including Top 50 Neil songs. There’s also mention of a Neil trivia game in the website.